Reiki is a Japanese word meaning Universal Life Energy and was rediscovered in 20th century Japan by Buddhist Sensei Dr. Mikao Usui. It is a non-religious based energy healing that promotes stress reduction, relaxation and healing which involves gentle placement of the practitioner’s hands on the client’s fully clothed body channeling universal healing energy (Reiki) to the client. This energy assists the body in creating an environment that facilitates healing. The Healing work done at Reiki of Greater Boston is geared toward activating your own innate healing power which has gotten side-tracked, weakened and/or stuck from exposure to toxic people, thoughts, chemicals, etc. Through this healing therapy your body will be moved toward its original state of health, your mind toward peace and your heart toward its true purpose. Illness, unrest and disease come upon us. To get back to, maintain or heighten our health we must unearth the truth of our purpose, the truth of who we are in the deep recesses of our heart. Reiki and other therapies work to assist us in exposing the lies we live which consciously or otherwise contribute to our illness. Stress Reduction and Relaxation so easily accessed through Reiki can be the first step on the road to recovery and/or balance. If you have tried many forms of treatment/prevention and you are still not satisfied with your physical, emotional or spiritual health you may find some relief in adding Reiki to your repertoire. Conditions like Sadness/Depression, Stress, Anger, Fibromyalgia, Lupus, and other Auto-Immune disorders are particularly responsive to this treatment in combination with traditional treatments as are insomnia, medication side-effects, etc. In addition if you are consciously on a spiritually journey and are seeking the next level of awareness, Reiki will move you toward that goal by taking you deeper into your heart, by opening your natural psychic and intuitive abilities. Reiki Room at Reiki of Greater Boston. All sessions will begin with a brief sharing time where we will come to an understanding of where your needs are at the time of treatment. During this time there will be ample opportunity to ask questions and express concerns. Once your queries are satisfied, you will be guided to lie down, face up (if this is not physically challenging for you) on the Reiki table remaining fully clothed. The room is warm with low lighting and soft music. You will be guided through some deep breathing exercises and then we will begin the treatment which lasts from 60 to 90 minutes depending on your booking. The practitioners hands will be placed lightly on your body in traditional Reiki positions channelling healing energy to the places you require assistance. During treatment clients can experience a wide range of feelings: sleep, warm sensations, tingling, dream recall or old memories, emotional release, etc. and at the completion of the treatment most clients report a feeling of deep relaxation and/or relief of acute pain/discomfort. 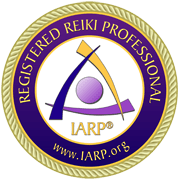 Distance Reiki is performed when a client lives too far from the Reiki of Greater Boston Center to travel there or is contagious and cannot be exposed to others. We will arrange a mutually agreed upon time to share Reiki when the client will be asked to relax in a seated or prone position. I will perform the distance Reiki for the agreed upon time and we can touch base via phone after the session. Read more about Distance Reiki. Reiki is distinctive among energy therapies in its emphasis on this self-healing asserting that the body possesses the wisdom to significantly improve its own physical, emotional and spiritual condition. Reiki Practitioners understand that everyone has the ability to connect with their own healing energy and use it to strengthen their health. It is believed that a person’s “ki” or energy should be strong and free flowing. When this is true a person’s body and mind is in a positive state of truth and health. When the energy becomes weak or blocked it leads to symptoms of physical, emotional or spiritual imbalance. Reiki facilitates this balance in energy flow thus promoting health. Disclaimer: Reiki is intended to be used as a complement to traditional medical care or as a personal relaxation and stress-reducing tool. It is not a substitute for medical/psychological diagnoses or treatment. Hi, how much is a first time 60 min reiki session? Click on Image to Read Reviews. Fun With The Full Moon! Holidays Are Not All They’re Cracked Up To Be! Here’s How To Deal. Click Images Below to Visit Me On Instagram! Enter your email address to follow this Health & Happiness Blog and receive notifications of new posts by email.